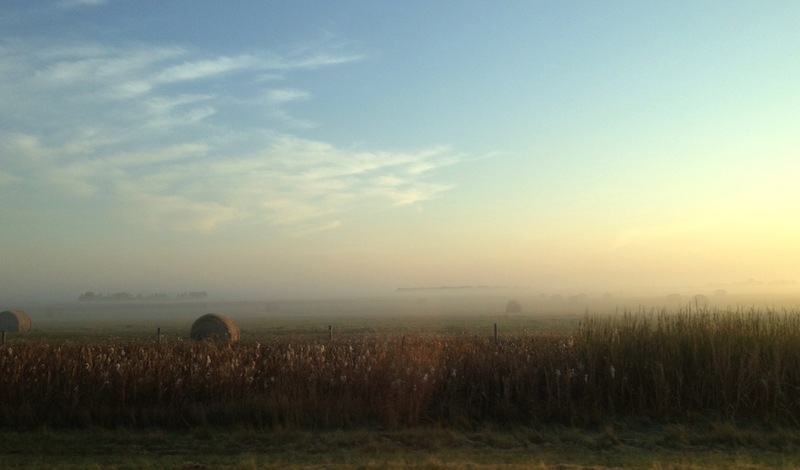 A cell phone shot of another beautiful September morning, this time on a drive to Lloydminster. Lots of early morning mist. I wished I had time to stop and take more shots and I wished I had brought my camera.